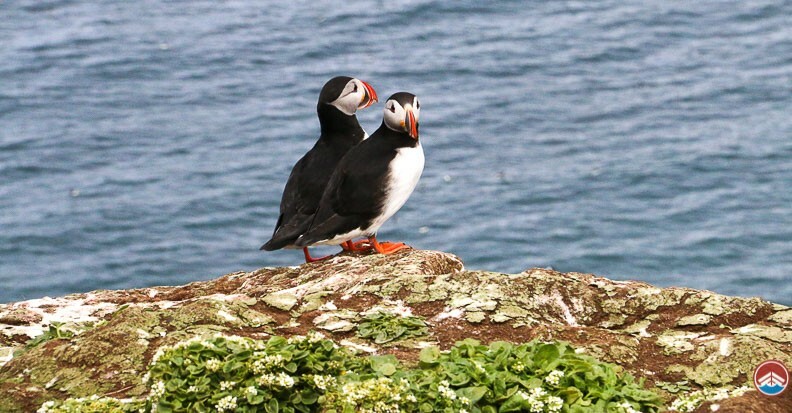 This amazing tour is ideal for families and wildlife lovers alike and will take you to the island of Akurey (otherwise known as puffin island), which lies just off the Reykjavik coast. There you will find around 30,000 adorable puffins who use the idyllic island as a nesting ground. The trip will also give you an excellent view of Reykjavik and the surrounding area making it a perfect way to see Iceland’s vibrant capital from a different perspective. This combined with the cute puffins ensures that there is plenty to do, see and take photos of. 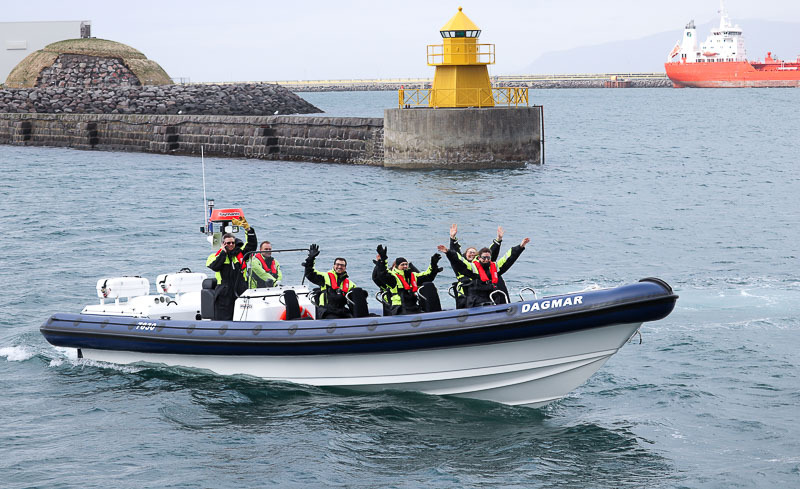 Your adventure begins at Reykjavik Harbor where you will meet your friendly tour guide and see our traditional Icelandic boat. From there we will head out onto the deep blue waters of the Atlantic Ocean with beautiful birds swooping overhead and Reykjavik in our rear-view mirror. The ride to Akurey puffin island takes around 15-minutes and will allow you to appreciate the beauty of Reykjavik and the waters that surround it. During this period your friendly guide will tell you everything you need to know about the buildings, islands, and wildlife that we see along the way, who knows if we are really lucky we might bump into some playful dolphins or whales. Once we have reached Akurey our expert captain will get as close to it as possible and then turn the ship’s engine off, so we can enjoy the puffins in their natural setting. The islands themselves are dotted with small hills and slopes, which makes them the perfect nesting ground for puffins, whose cute smiling faces and beautiful orange beaks have made them exceedingly popular. Our friendly guide will also tell you all about all the wildlife you are seeing, ensuring that you know everything that you could possibly want about these adorable birds. Seeing them in the flesh is an experience that everyone is bound to appreciate and is especially popular with children. 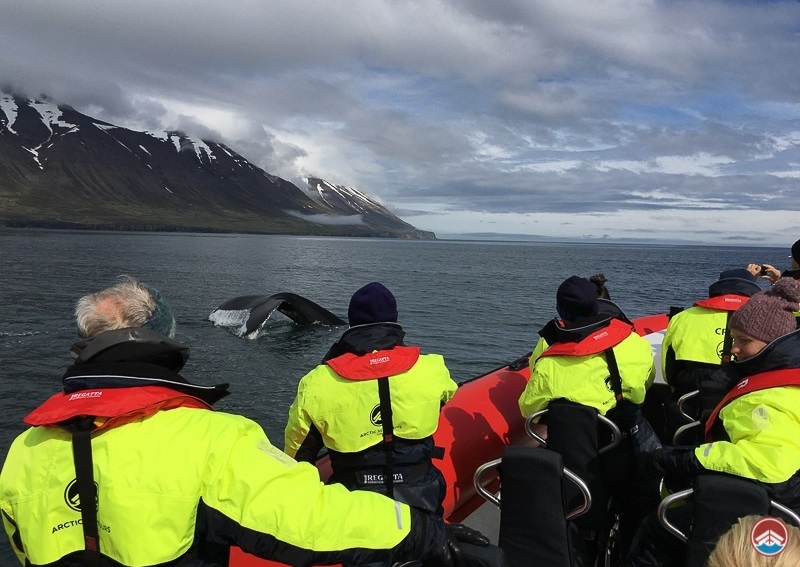 *This tour is operated by a trusted partner in Reykjavik. Iceland plays host to around 8-10 million puffins and is responsible for more than 60% of the world’s entire Atlantic population, making it the puffin capital of the world. Puffin colonies can be found all over the island. The Icelandic word for puffin is ‘Lundi’, although they are nicknamed “prófastur”, which translates to 'preacher'. Puffins change their color during after the breeding season with their famous black coats turning grey and their beaks becoming less colorful. The reason for this is that puffins spend most of the year out at sea, returning to land to breed during the summer. Puffins are also monogamous, meaning that they generally stay with the same mate for their entire lives, also sharing parental responsibilities. They live for around 25 years, although the oldest recorded puffin reached the age of 38.